HAMMONTON – The official Hammonton First Town Council Candidate Announcement was held on Thursday, May 31st at DiDonato Family Fun Center. 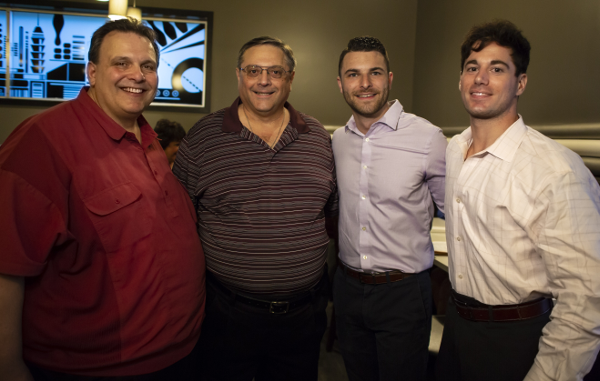 Mayor Steve DiDonato hosted the event, where he introduced each of the three Town Council Candidates: Sam Rodio, Jonathan Oliva and Dane Wuillermin. A crowd of 100 guests attended the event, which kicks off the campaign season. Hammonton First prides itself on public participation, so as always, there was an opportunity for those that attended to ask questions and get answers. Last year Hammonton First Mayor DiDonato, Deputy Mayor Tom Gribbin and Councilwoman Brooke Sacco were all elected. This year’s Hammonton General Election will be held on Tuesday, November 6th 2018.